Happy Tuesday polished world!! How are you all doing today? I have a quick swatch-ish post for you all. I meant to have a post up yesterday, then got sidetracked. Then I wanted to have an art post up today as a pre-Thanksgiving manicure, but in the end I'm going to share that one as my Thanksgiving one. 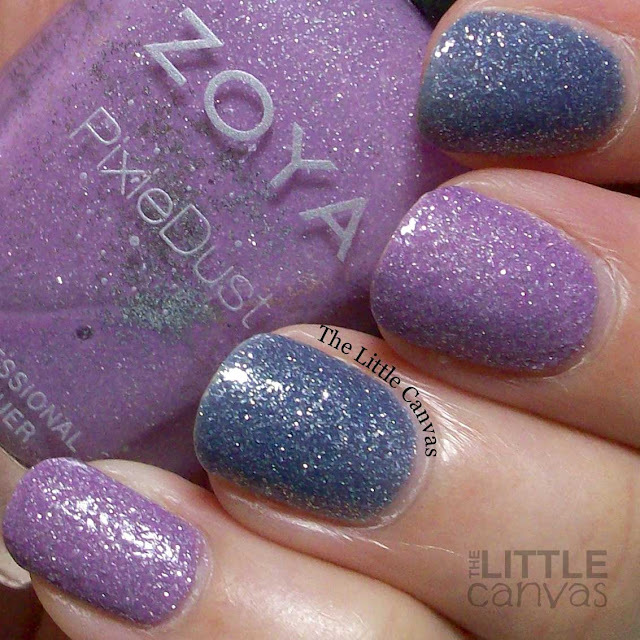 So today I'm sharing with you a skittle manicure I did using two of the Zoya Pixie Dusts. As you know, I love the original micro formula of the Pixies and am so happy that Zoya started coming out with new colors. I don't care what anyone says, the textured look is still in. Love, love, love Nyx. I purchased this polish a year or so ago during a Zoya promo. I didn't have any colors like it in my collection so of course I needed to get it. Three coats for this one. I found it to be a little sheer. It did build up, but it needed the three. If you did two thicker coats, you can get away with two, but I find that the Pixie's dry funky if you do thick coats. My beloved Stevie. My all time favorite Pixie dust. Two coats. So happy I have a back up bottle of this beauty, and beyond happy that they didn't change the formula over the years. I'm sure you all have had a company change a formula of your beloved polish and when you go to re-stock you're highly disappointed. Thankfully, this Pixie is still the same. Fan of the skittles? 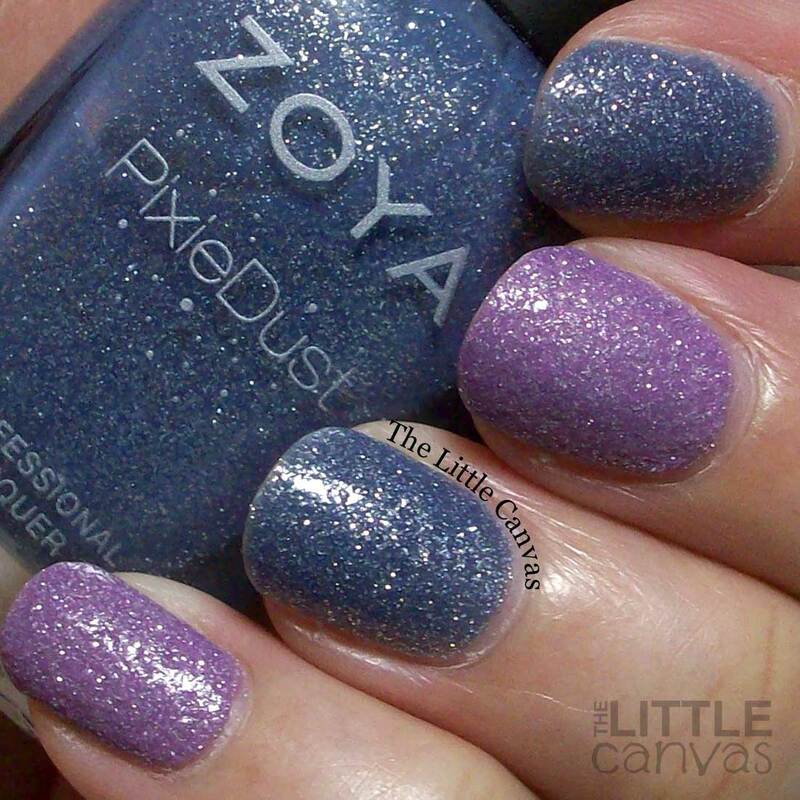 Do you still use and love the Pixie Dust polishes? Promise to be back to the nail art in a few days!